Publishing Success… – Annabella's Kiss! Hi, I’m Tony Brady. I’m a relatively new author, as I had my first piece published in august 2017. In the less than six months that have passed since then I’ve managed to publish four more titles. I’m part of the KDP program with Amazon and so far so good. I haven’t made much money yet, but I have been getting a lot of my books out there through their free book giveaways. I haven’t had great success yet, but I’m learning knew things almost everyday and consistently building up my network. I’ve met a lot of great people and have found our community to be very supporting and positive. That’s a beautiful thing. The largest giveaway that I’ve ever had starts on Jan.1st 2018 and ends on the 5th. 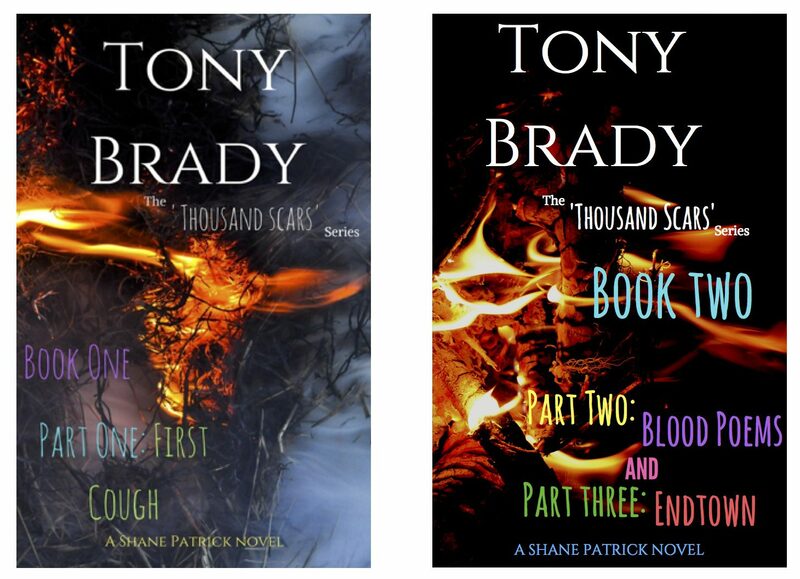 I’m giving away both books one and two of my ‘Thousand Scars’ series through Amazon. The third book in the series comes out in April 2018, so this is a prime time for people to get the first two books for free. I’ve recently discovered ‘crowdspeaking’ platforms such as Thunderclap and Daycause. Crowdspeaking is a way to gather a bunch of supporters to all release your message across various social media platforms all at the same time on the same day. It’s a way to try and reach above the massive content train that feeds the internet. I’ve chosen to run this campaign, my current campaign for about thirty days, and had originally had set my goal for 100 supporters. that I’m already at 237 supporters with a social outreach of 738,000 and I still have three days left on the campaign! That is awesome and I am very grateful. The message that my thunderclap campaign delivers is about me giving away the first two books of my series from Jan.1st to the 5th. Hopefully my having such a successful Thunderclap campaign will cause a large impact on my free book sales! So, as I have said, I have not yet reached great success as an author, artist, and poet (all three of which being various different states of the same thing, really) but I am optimistic, ambitious and on my way. If you have any questions about my various experiences or want to learn more about my work or my path, or if you want some of my stuff free, go to my website at http://www.ThousandScars.com and sign up! I hope that all is well out there! Good luck and Happy 2018! Hopefully it’s the best year yet!